The House of Representatives candidate of the Peoples Democratic Party in Ijesa North Federal Constituency, Hon. Busayo Oluwole Oke has described as untrue, fallacious and misleading the allegations by his APC counterpart and kinsman from Esa-Oke, Dr. Siji Olamiju that he was in possession of firearms. APC's candidate for Obokun /Oriade Federal Constituency, Dr Siji Olamiju had accused Oke, who is currently representing the constituency in the House of Representatives of illegally possessing firearms and recruiting cultists to cause mayhem. Olamiju, while addressing newsmen in Osogbo on Wednesday had alleged that Oke, who is his co-contenstant in the constituency masterminded an attack on his members and campaign vehicles at Ilase-Ijesa in which two persons were seriously injured by dangerous cultists he recruited from different campuses. But while reacting to the allegations, Oke said he was wrongly accused and that the APC candidate twisted the story. According to Oke, "the true position of the story was that the APC candidate in Ijesa North Federal Constituency, Dr. Siji Olamiju, who is also the proprietor of AKOL pharmacy was at Ipetu-Ile in Ward 2 of Obokun Local Government area of Osun State, the crowd that he met was not encouraging safe for some APC thugs numbering about 25. "Olamiju who didn't see any reason for giving out any money to people who could not mobilize people for his RALLY despite what he gave party leaders in the ward gave about 25 people N2,000. This paltry amount infuriated the youths who began to throw banters at Olamiju and his entourage, when they discovered that their candidate was not ready to yield they started shooting sporadically into the air and Olamiju and his team left the scene hurriedly enroute Ibokun Ward 1 of the local Government. "At Ibokun roundabout, Olamiju increased the money he gave the boys by N1,000 ahead of that of Ipetu-Ile by giving them N3,000 which drew the anger of the boys, there and then they immediately engaged again in more vicious sporadic shooting which became so loud that the policemen in the Ibokun Police command had to rush down to the scene of the shooting. "The DPO was in his private wine colour Toyota Highlander Jeep, trying to caution them on the position of the law against illegal use and possession of fire arms, rather than listening and coupled with the fact that the vehicle was not a police marked vehicle, the descended on the DPO, beat the law officer mercilessly, out of frustration and to escape being killed, the DPO was alleged to have, in self defence, shot one of them who was holding a pistol in the leg and they all fled in different directions. "Some of the vehicles of Siji Olamiju and other branded vehicles of APC candidates and some other attackers of the DPO were arrested and are still being detained." Oke, who was far away in Abuja when contacted said he was surprised to be in Abuja and still be accused of leading an assault on the DPO of his local government, whom he said he doesn't know, and never met before either. He however, advised the police authorities to investigate the attack on the DPO and allow the law to take its course especially as those thugs that followed the APC candidate were allegedly imported from other towns and the paltry sums that was paid to them by their employer was the real cause of the fracas. 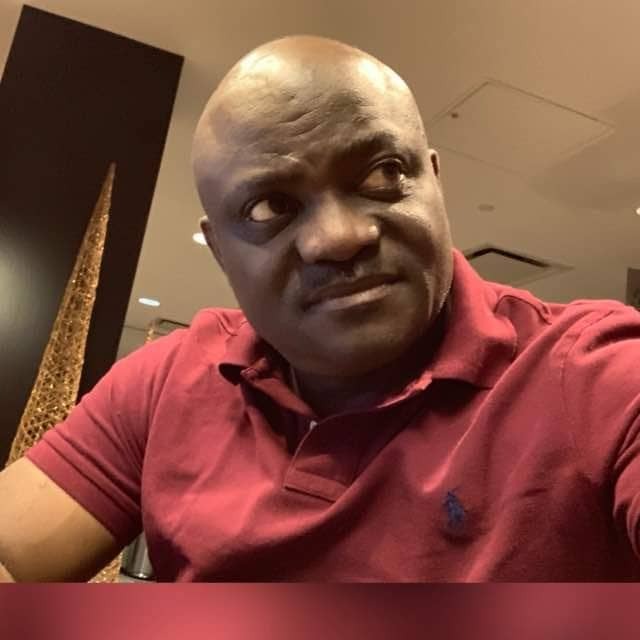 He further said "if the DPO, a senior Police chief can be manhandled the way he was allegedly handled, I'm scared of ordinary and innocent citizens of the state who have no single form of protection," Wole Oke exclaimed. "As a qualified lawyer, practising law maker, I know the implications of illegal handling of arms and ammunition and will never engage in such. My house is open for search if need be, in fact, you can ask anybody, I don't encourage thuggery in any form and that has always been my advice to our youths which forms the basis of my various empowerment programs for my constituents," Oke concluded.